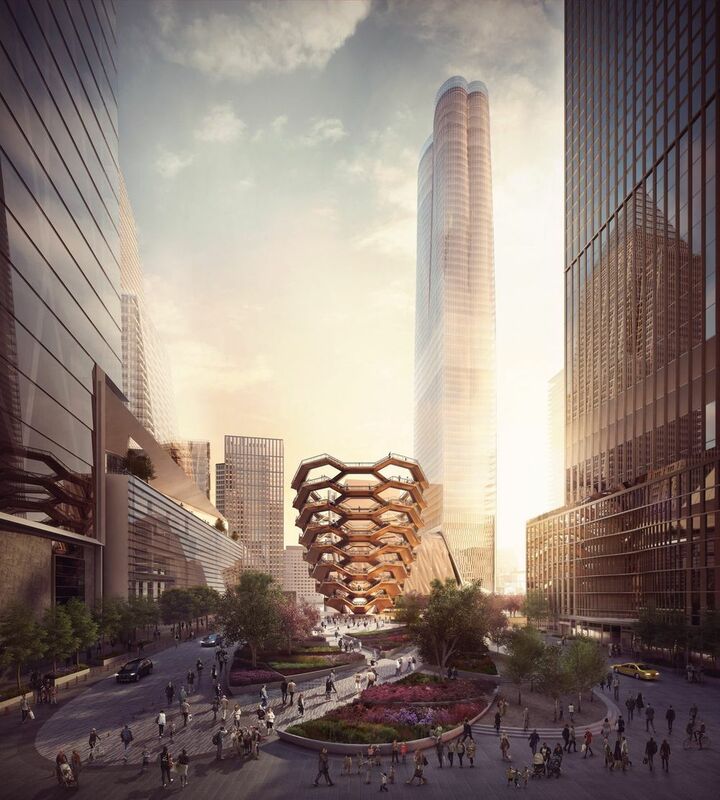 At the massive Hudson Yards complex rising on Manhattan’s West Side, the anticipated centerpiece has been unveiled by London’s Heatherwick Studio. Towering above the newly constructed platform over the railyards, this Honeycomb of sorts, at least through its representative image, draws the public in like a sieve and portends to act as an Urban Filter for the masses. A large scale and walkable sculpture. 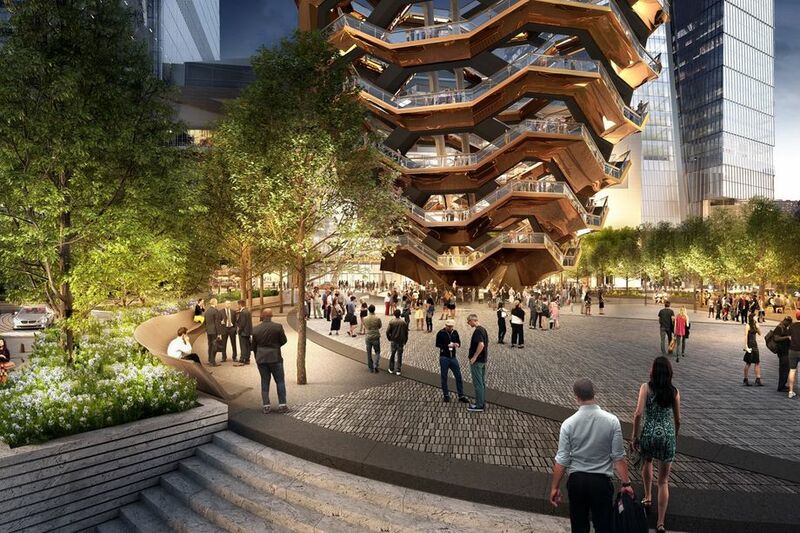 At once, another New York Icon which prioritizes the Participatory Public (as a subjective experience) over what easily could have been an exercise in objective “Form Making”. Nodding to The Chicago Bean, another interactive Art Piece (and more an object in its own right), The Honeycomb softens the edge of an oftentimes Caustic City. Placed in the middle of New York’s man made environment; it is an invitation to view and be viewed within, provoking one’s physical and perceptual senses. An Urban Awareness on the grander scale of The City, which continues to transform at an overwhelming pace.